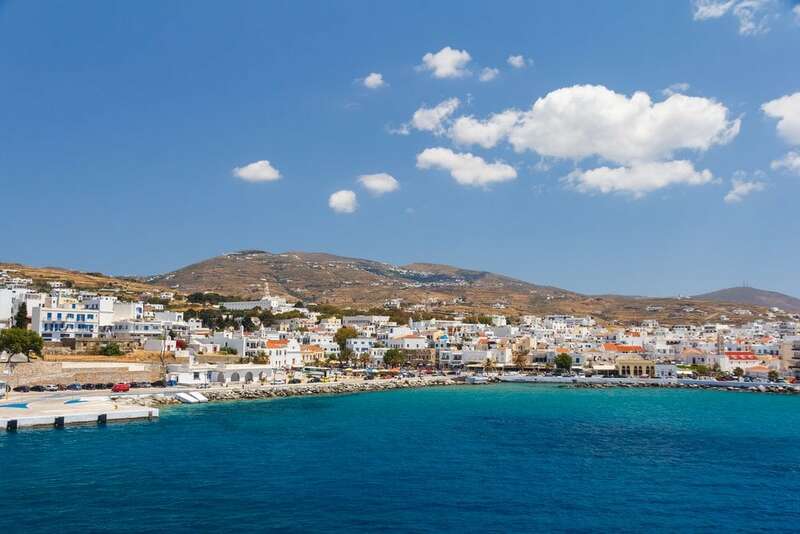 Tinos, characterised as the island of “Art and Civilization” since it constitutes the biggest centre of marble sculpture in Greece, offers a big cultural heritage through the museums, the archaeological areas and the religion sightseeing. Two of the most popular beaches for swimming is Kionia and Aghios Sostis while Kolympithra beach is ideal for ski. For the diving lovers, one of the most impressive shipwreck of the Aegean Sea is at Steno beach. The landscape changes when approaching the Volax and Examvourgo villages, with the imposing volumes which will impress the lovers of climbing and hiking. 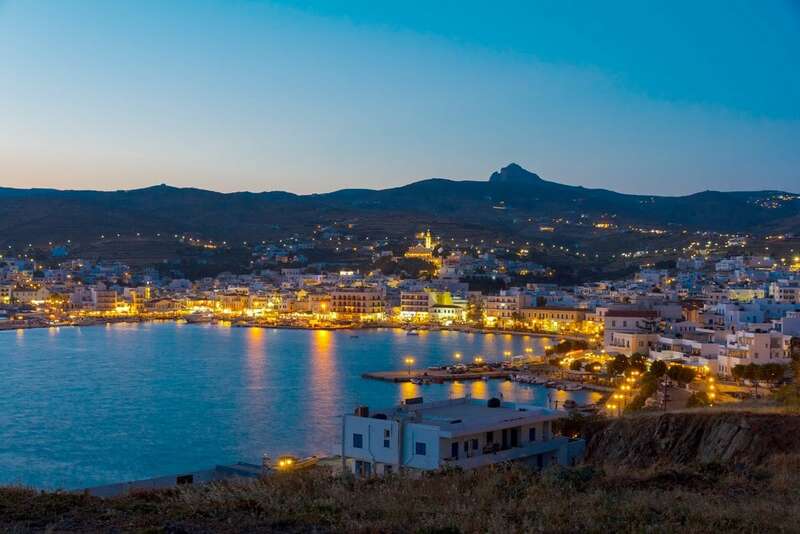 The traditional villages like Pyrgos or Komi are ideal to walk in the characteristic Cycladic alleys and to enjoy the food in the colourful little taverns with local products and mediterranean tastes. 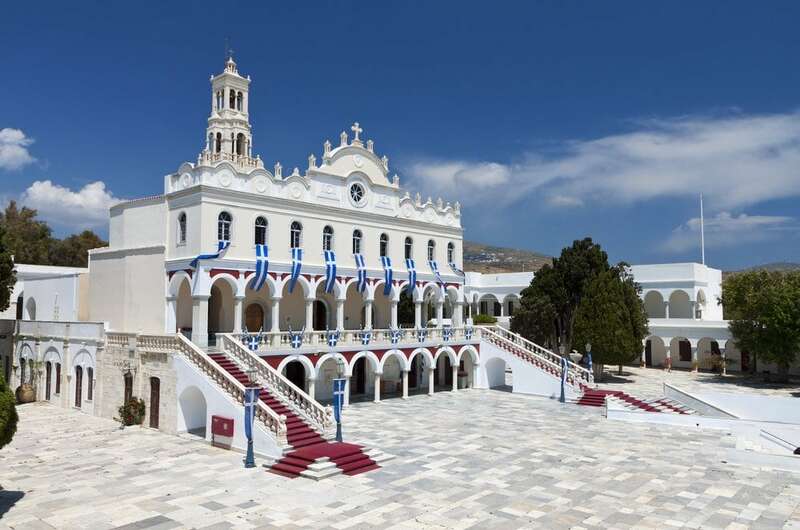 The famous Panagia Evangelistria church is the landmark of the island close to the port. 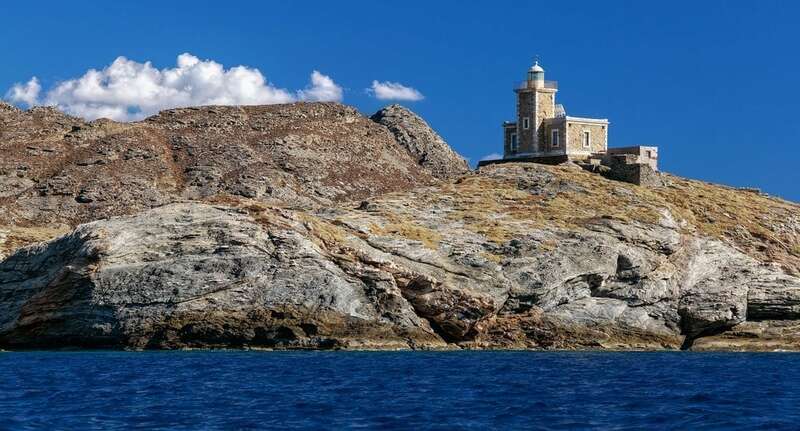 By boat: 4-5 hours from Piraeus or Rafina port.